News Archives - BBC Pump and Equipment Company, Inc.
BBC Pump and Equipment and ElectroCell Systems won the inaugural US Cummins Innovation Gateway, beating out stiff competition from seven other finalists. BBC Pump, represented by Reid Crandall and Nick Dickos, and Electrocell, represented by Paul McLaine, were provided the opportunity to present before a board of Cummins executives and other outside engineers. “Reid Crandall knew he had just five minutes to make his case and five minutes for questions to explain to a panel of 10 judges why Cummins needs a system that enhances industrial cooling towers by reducing water and energy usage. It was just enough time, however, for Crandall and the BBC Pump and Equipment Co. Inc. of Indianapolis, Indiana, to take home top-honors at the first Cummins U.S. 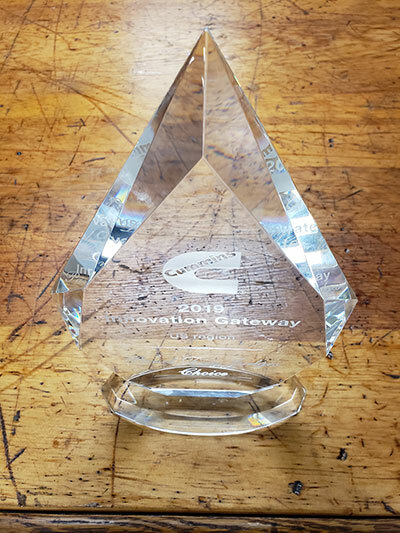 Innovation Gateway in Columbus, Indiana, earlier this week. The judges included five Cummins leaders, as well as sustainability experts from Purdue University, Indiana University and representatives from the U.S. Department of Energy and the Mid-States Minority Supplier Development Council. BBC Pump and ElectroCell will be working with Cummins to install ElectroCell Systems’ patented side-stream particle precipitators and monitor water and energy savings at Cummins sites in southern Indiana. As the technology proves itself, there will be opportunities to help Cummins save resources at locations worldwide. BBC Pump is now the QuantumFlo representative for the state of Indiana! calQflo is the most efficient online booster system sizing and selector software. A free and revolutionary online tool, calQflo matches your specs to the best system selections and solutions for your HVAC, construction or plumbing project to bring you excellent efficiency and revolutionary ROI. Sign up for your calQflo account and start right-sizing booster pump systems today. BBC Pump will be offering an symposium in June of 2018 allowing attendees to earn up to four hours of Indiana Department of Environmental Management (IDEM) continuing education technical credit. While anyone is invited to attend, these sessions will be especially valuable for operators of Municipal and Industrial waste water facilities who require continuing education units in order to maintain their operators license. Each day, the attending group will gather and break down into four smaller groups that will rotate between the four breakout sessions throughout the day. Each group will be provided individual attention with opportunity to ask questions and learn how this information can apply directly to their individual needs. Seating is limited. If you wish to attend please contact your BBC Pump sales representative or register via the form below. Although the cost of a seal is a relatively small percentage of the overall cost of a pump, 70 – 80% of all unscheduled pump shutdowns are seal or packing related! So why are the selection and a clear specification of a sealing strategy critical? We will review the common sealing approaches currently employed, mechanical packing and seals, describing the benefits and liabilities of each. We’ll also talk about environmental controls and water management. Historically, seal (flush) water use was vital to the proper functioning of packing and seals. Typically that water use per pump is measured in gallons per minute. Yet today, there is an ever increasing demand to reduce the water footprint of treatment and processing operations. We will review options to reduce or in some cases eliminate seal water in treatment operations. 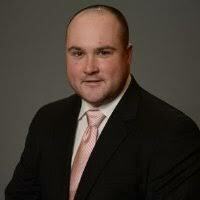 Presenter – Paul Keough is Chesterton’s Marketing Development Manager for the Water and Wastewater Industry. He has been with the company for 19 years and has been in the fluid sealing industry for 38 years. Prior to his current position, Paul was the Business Development Manager for Chesterton, responsible for North American engineering firms in the Mining and Wastewater Industries. He has done sealing presentations to firms such as Fluor, AMEC, Tetra Tech, CDM Smith, Arcadis, AECOM to name a few. Common sense, and practical maintenance techniques as to how to improve rotating equipment reliability utilizing improved bearing housing protection, and automatic lubrication dispensing technologies. This session will also address corrosion control in bearing housings, chain drives/wire ropes, and bolting & fasteners. 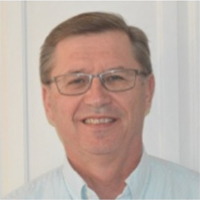 Presenter – Peter Schamel has worked with the Chesterton for over 30 years focusing on rotating and reciprocating equipment reliability improvement techniques, with key end-user clients though out the Central United States. Peter’s practical, “hands on” experience across all types of Industries, and equipment applications, can provide “common sense” solutions to equipment root cause failure evaluations. Peter’s sessions provide valuable insight as to how to extend equipment reliability, enhance maintenance practices, and generate cost savings. This session will be “hands-on” training course, covering the basic 101’s of different mechanical seal types & designs (components, cartridges, split seals) and how to install seals for long term, leak free, service life. We will cover practical maintenance & operational techniques as to how to prepare a pump for mechanical seal installation, criteria for choosing the correct seal type and seal materials, and also instruct on how to determine the correct seal water flushing techniques, for both slurry and clean water applications. Presenter – Tommy Thomas holds a BBA/MBA from the University of Houston. Joining Chesterton in 1997, Tommy has over 40 years in the pump and seal industry. He has held positions in sales, design, manufacturing, applications, as well as extensive field applications, training, troubleshooting and service experience. Tommy has published articles in various industry publications and has been an instructor and speaker at the Texas A&M Pump Symposium. Did you know, a 2002 study led by the Federal Highway Administration and NACE International estimated the annual cost of corrosion in the United States to be $276bn? Of that total, $36bn came solely from the water and wastewater industry. The EPA estimates another $4B is spent annually in energy costs associated with fluid pumping in this industry. This is between 80%-90% of the total energy spend within these facilities. A simple reduction of 10% annually across the industry could save $400 million. This session will discuss: basic understanding of the corrosion process as it relates to rotating equipment in Water & Wastewater facilities; the impact of corrosion on performance in rotating equipment; understanding the differences between various, common types of polymeric technology and the best technologies for pump efficiency improvements; critical coating performance criteria and their impact on MTBR; and outline strategies for executing a coatings application for maximized reliability of the coating system and the equipment as a whole. 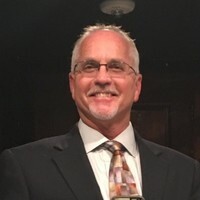 Presenter – Trent Elizondo is AW Chesterton’s Field Product Manager for Protective Coatings and Specialty Lubrication and has been in the Protective Coatings & Chemicals industry for over 11 years. He has also carries NACE CIP Level III & SSPC CCI Level II certifications for coatings inspection. During his career, he has held positions ranging from sales to application engineering & technical service providing a unique perspective on the challenges faced across many industries. Additionally, he has conducted seminars on coatings and lubrication related topics to various industry organizations, corporations & municipalities. Contact sales@bbcpump.com for more information! Will you be attending to receive IDEM CEU credits? Kelvion ULF modular dry coolers are now available through BBC Pump. Manufactured in Tulsa, OK, these new dry coolers will be a great addition to the BBC Pump and Equipment product offering. Kelvion dry coolers have been installed worldwide at facilities for Honeywell, Hilton, Nestle, Caterpillar, Heineken, Coca-Cola, Tate & Lyle and more. The modular range can be customized per customer specification, while maintaining short lead times. Multiple fan types are available to best suit the application and optional fin materials and coatings are available for corrosion resistance. All Kelvion ULF dry cooler units are UL listed for US and Canada.